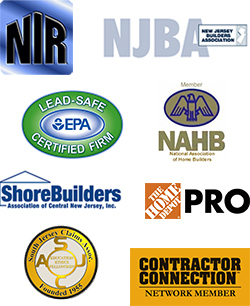 Cornerstone Appraisal and Restoration Services, LLC is Central New Jersey, Southern New Jersey and Eastern Pennsylvania’s most highly regarded insurance restoration and home reconstruction resource for homeowners and insurance providers. All of these are examples of disasters which require an emergency response. Cornerstone Appraisal & Restoration’s team will respond quickly, assess the damage, and create a plan to stop further damage from occurring. The sooner we are called, and can initiate a response, the less chance damage will spread. Ice and snow damage: snow or ice removal and roof repair. Cornerstone Appraisal & Restoration will work with your Insurance Claims Professionals and Adjusters, providing a process that offers a seamless line of communications during your project in order to restore or improve the damaged home. Our goal is to exceed the homeowner’s expectations.